Merino wool is a huge topic on this blog. The main reason for this is that wool is the perfect outdoor fabric. It is natural. It has superb insulating properties. It retains warmth even when it is wet. What more could you ask for? Well, the problem with your standard wool is that it tends to be itchy. If your skin is in the least bid sensitive then regular wool is not an option. It is just too abrasive. So that is where merino wool comes in. If you read the wiki on merino sheep you’ll find that merino sheep have soft wool. You get all of the awesome properties of regular wool without the itch. For this post, I wanted to put a shout out for Minus 33’s Expedition weight full zip merino wool jacket. Expedition weight merino wool is not available from many manufacturers. Minus 33 specializes in merino wool garments and they realize that people who are serious about their outdoor clothing love just about anything made from merino wool. Their expedition weight full zip jacket is awesome to have with you at all times. During the winter, when I’m not wearing it I keep it in my car just to have it on hand. You can’t always predict when you’ll need a jacket to fight off the bitter cold while you run into a store or stop to fill up your car with gas. One feature that I love about the expedition weight merino wool jacket is the extended length arms with thumb holes. This keeps the sleeves from riding up when you put an outer shell on over it. It also eliminates any skin from being exposed between your gloves and jacket. I mentioned putting an outer shell over it. If you aren’t familiar with this practice then you need to read up on proper layering. Many people use a fleece top as a mid layer for layering. 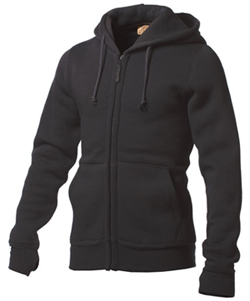 This expedition weight merino wool full zip jacket gives you maximum insulation for your mid layer.